1. ) 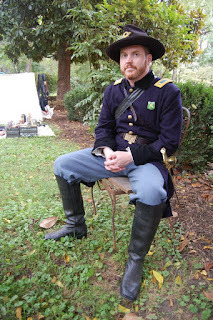 Many thanks to Kristopher White and the ever-increasing group of talented authors over at the Emerging Civil War blog for allowing me to write a guest post about my book! If you haven’t been following this blog over the past couple of weeks, you’ve really been missing out. Don’t deprive yourself any longer! 2.) 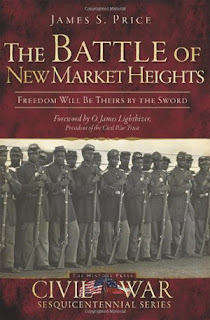 If you happen to be going to the ASALH convention in Richmond next week, be sure to stop by the book signing that will be taking place Thursday October 6th at 6:00 p.m. I'll be there signing books and I hope to see you there! 3.) 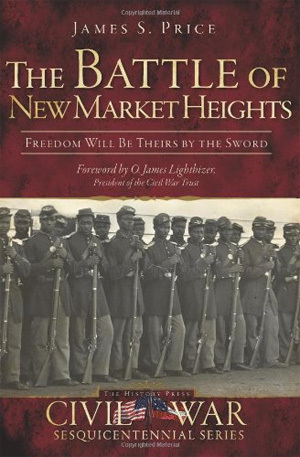 Finally, today is the 147th anniversary of the Battle of New Market Heights. If you’re the reflecting type, take a moment tonight and think about the significance of September 29, 1864. Go ahead Johnny Reb. Make my day. ﻿If you happen to be in the Richmond area over the weekend, please be sure to check out one of the free events that I’ll be signing books at! Tomorrow I will be speaking at the “Henrico County: Gateway to Richmond” Symposium along with Frank O’Reilly, John Coski, and Robert E.L. Krick. The symposium runs from 10 a.m. – 5:00 p.m. and there will be a book signing by all authors after the last lecture. After that, I’m off to one of my favorite sites in the whole world – Fort Harrison, which in my opinion is the crown jewel of all the sites operated by Richmond National Battlefield Park. I’ll be there on Saturday and Sunday signing books and portraying Lt. Nathan Edgerton, who was one of the Medal of Honor recipients from New Market Heights. All in all, it should be a great time and I hope to see you there!